Home / Search results for "bastille brocante"
There’s still time for you to book an Antiques Diva® Tour during one of our favorite French Antique Fairs SALON D’ANTIQUITES BROCANTE at the PLACE DE LA BASTILLE . Held from 4 – 13 NOVEMBER 2011 some of our favorite upscale vendors will be setting up shop alongside the Seine! This traditional fair first occurred in 1969 and has become over time a Parisian institution with undeniable French charm owing to it’s location in the heart of Paris and it’s exclusive antique atmosphere boasting over 350 French vendors! 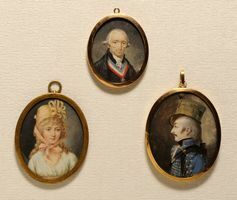 The theme of this years event is “MINIATURE AND SMALL OBJECTS OF VERTU” so many of the vendors will specialize in offering unusual and tiny miniature precious curiosities! This weekend I will be attending The Pier Antiques Show in NYC, but my heart will, as always, be in Paris. 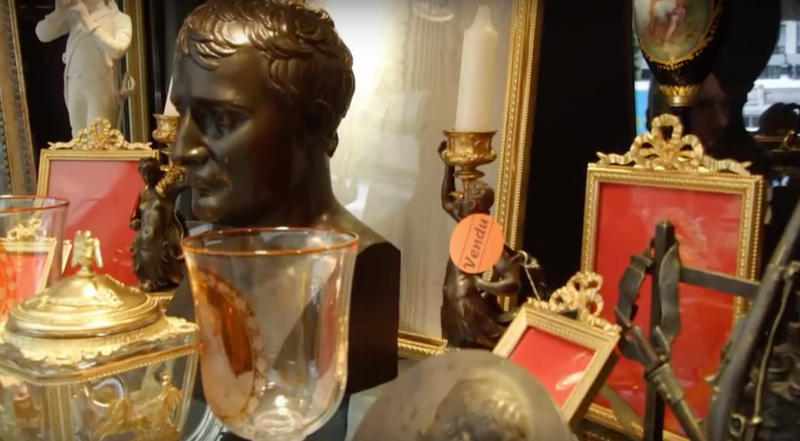 My 2nd favorite antiques show, the SALON D’ANTIQUITES BROCANTE PLACE DE LA BASTILLE, closes this weekend after 10 days. This indoor/outdoor antiques show at Bastille has always been a personal favorite, second only to the famous ham and flea market fair in Chatou. With over 400 dealers and everything from fine antiques to junk, it’s a shopper’s paradise. Plus, with the cold autumn weather, my favorite Vin Chaud* was always purchased at Bastille, usually accompanied by a merguez sandwich with mustard and fries. At Bastille my favorite purchase was my first armoire, discovered at the Spring show, and leading to a 7 year association with the vendor, Monsieur and Madame Nakhechkerian (The business is listed in the wife’s name – Mme Florence Mallion-Nakhechkerian – contact +31. (0)1.60.66.15.73) who became one of my personal favorites (partly because I spoke with him only in French for the first 4 years I knew him, and then discovered he spoke English! He told me my French was fine, which, in the Spring of 1998, I assure you was NOT!) In addition to being so kind and patient with me during my first purchase from him, he invited us to his home in the country to see how it was restored, all the beautiful furnishings he and his wife had found and restored (he went into antiques restoration with his father-in-law, so it was a long-term, well-established business.) He visited our home several times to help us with our purchases: he modified one armoire so that it could easily hold our TV, but then be restored to original state; another armoire he added a coat bar so that it could serve as our entry coat closet. After a guest left a wet glass on our buffet and I got a restoration quote of 900 Euro from another restorer, he came by, pulled out his handy can of wood wax, painted over the spot and voila! The spot was gone. The name of his miracle furniture wax: Pate Duqay Rustique Moyen (my preferred shade) found at the Clingancourt flea markets, 92, rue des Rosiers. *My favorite Bastille show “vin chaud” vendor shared his recipe with me! I now make it at home and enjoy it many times each autumn! Heat until bubbly, stirring well, serve and enjoy! I’m sad to say that it is the end of an era….The renowned Foire de la Bastille will set up its tents alongside the Seine for one of the very last times this November 2015. 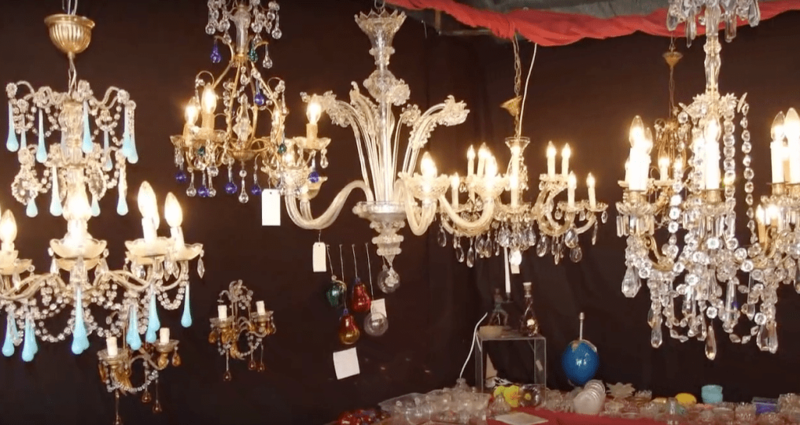 The final edition of Bastille’s infamous antiques fair will take place next spring, but now is the time to savor this extraordinary fair which began in 1969. 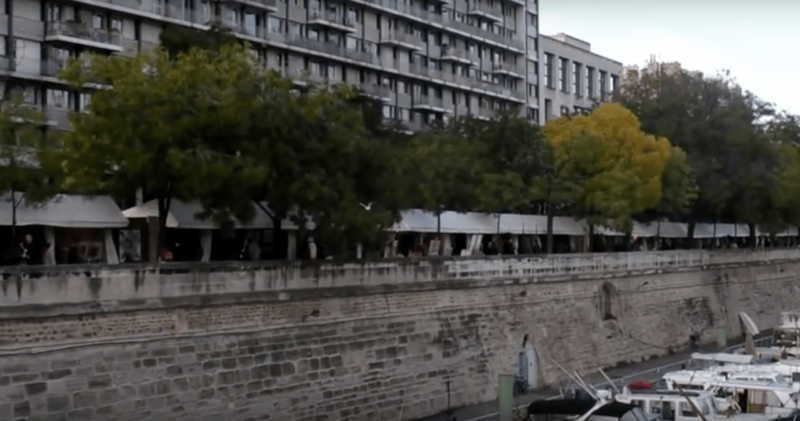 Beginning November 5th and running through November 15th, 2015 this fair which includes offerings from 350 vendors will take place at the Place de la Bastille including each side of the Arsenal basin along the boulevard Bourdon and Bastille. The fair will be open each day from 11:00 to 7:00pm and costs 10 € to enter. 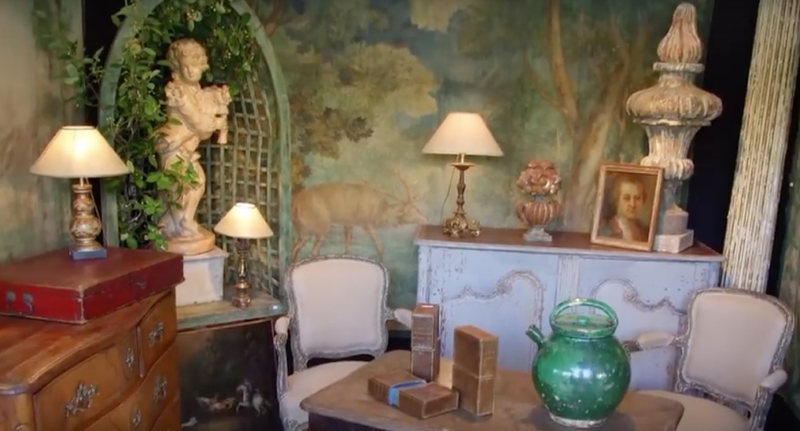 This has consistently been one of The Antiques Diva & Co’s favorite French antique fairs as it has been a Parisian institution filled with charm which always welcomes our clients with open arms. From fine antiques which are beautifully displayed to junk stalls that require a true hunter’s eye, this fair offers something for everyone. The theme of this season’s show is “The Mountain Cottage Mind,” and will feature dealers from all over France displaying furniture, paintings and engravings, pottery, silverware and old glasswork, ceramics, dishes, and antique linens. While the items for sale will vary vastly, the overarching theme of a French mountain cottage will prevail. As always, it is sure to be an antique hunter’s dream! I remember past times shopping this antique fair – even before I became “The Antiques Diva” – it was a brocante I visited and shopped with my friends. I helped my friend Tamara hunt for paintings when she was returning home to Tampa after living in Paris. And I shopped with Stacey for a dining table and chairs. Catherine was on a quest for Baccarat knife rests (if I recall she ultimately found those she was looking for in Chatou at the Ham Fair). Meanwhile Lisa and I sought out vintage fashion. And I came home with more than a piece or two of crystal and porcelain for my personal collections. The Bastille Brocante is as much of part of my personal past as it is my companies past – each season we’ve taken clients to find treasures along the Seine when it returned for it’s twice annual fair dates. If you would like to book an Antiques Diva Paris Tour in conjunction with this fair, email us at info@antiquesdiva.com. 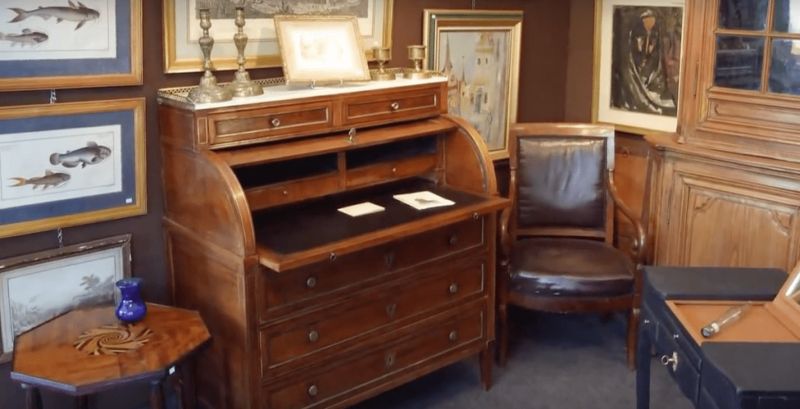 We’d love to custom plan an antiques buying tour for you, taking you not only to the fair, but also to Les Puces and other secret sources just outside of Paris to help you find the perfect pieces you’re looking for. As always, our Diva Guides can translate and negotiate on your behalf, helping you maximize your time and money while abroad. This Weekend – Oct 17 & 18 – get out of the city! 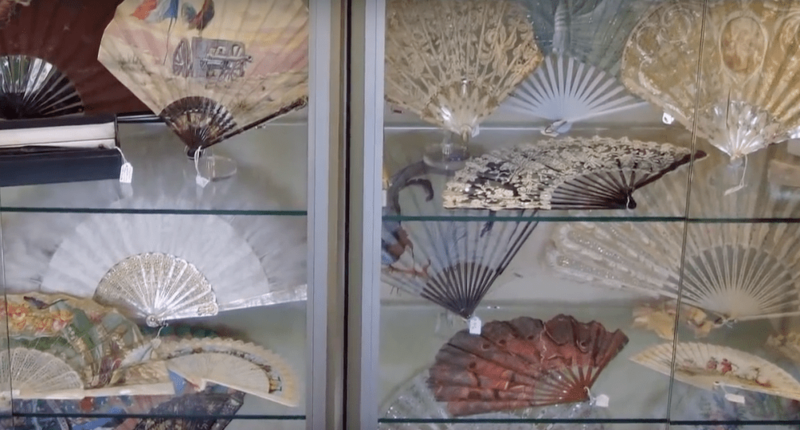 Leave Paris behind and head to Senlis and visit this small town’s “Salon des Antiquaires” near Paris at the Abbaye Royale de Chaalis –Fee of 3 Euro includes entrance to the brocante & abbey! If staying in the city is more your style, visit Brocante de la place Maubert – Sunday, Nov 1. 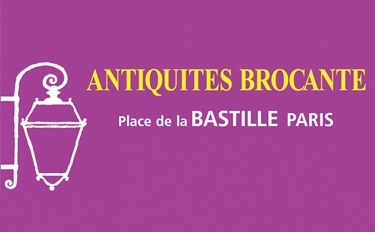 And last but certainly not least, visit the Antiquites Brocante at the Place de la Bastille Nov 5 – 15, 2009! There’s still time to book a last minute Antiques Diva Tour! I think blogger Tara Bradford of Paris Parfait has the best pics of this sensational flea market! Check them out! 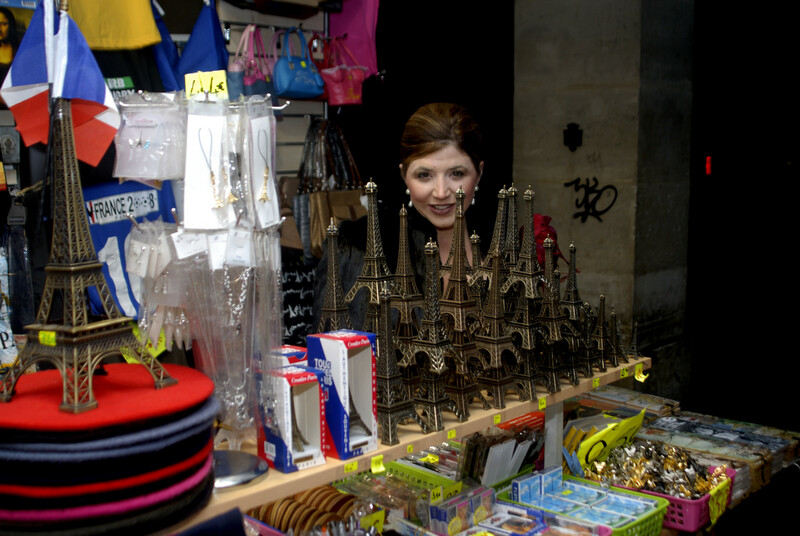 While we at Diva Tours like to keep you informed on what’s on in Paris, we also like to educate you so you can find the flea markets of Paris (and all of France for that matter) on your own. Whatever dates you’re in Paris, you can always look up to see what flea markets and antique fairs are being held in the city of light by visiting the Brocabrac website. For Paris events click region 75 and learn what the fleas have in store for you! Joel Garcia, Paris’ pre-eminent organizer of brocantes, art salons and antique fairs just released their upcoming “CALENDRIER DES MANIFESTATIONS A VENIR”. Add these dates to your agenda! 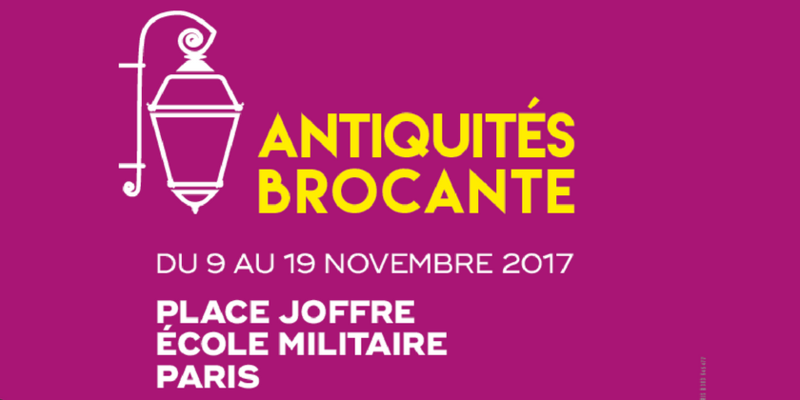 5 – 15 Novembre : Salon d’Antiquités Brocante – Paris – Place de la Bastille / 5-15 November: Antiques and Bric-a-Brac Market – Paris – Place de la Bastille. 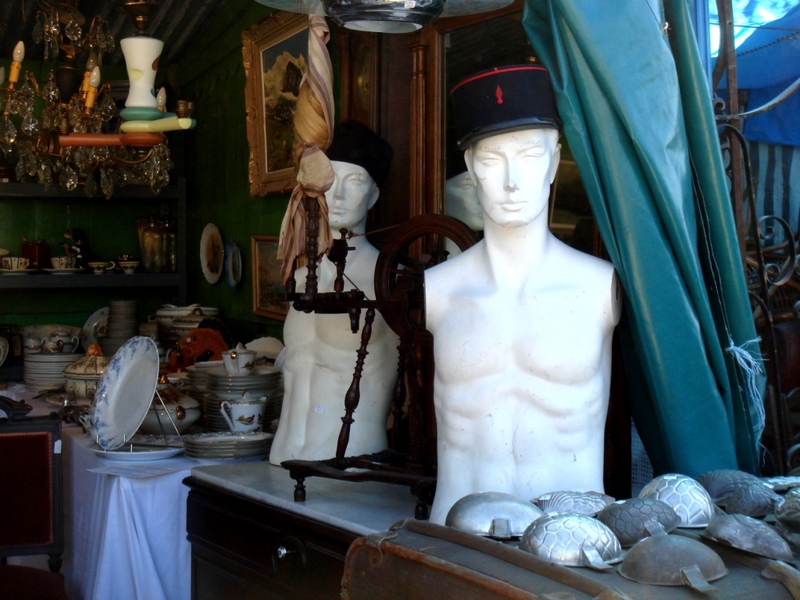 Read more about a special Antiques Diva Tour of the Place de Bastille Brocante. Find more information on the Joel Garcia website! Follow The Antiques Diva on Twitter!! You had given me advice and-much welcomed-encouragement for my trip to shop the flea markets of Paris. I thank you so much for your tips! The trip was wonderful! I went to the Place de la Bastille antiques show and to the Porte de Vanves flea market among other markets. The Paris flea market I found most disappointing (I had read about it in a book – it wasn’t on your advice list) was Montreuil… Beggars lined the streets getting to the market (it was a very sad sight) and most of the market was new, junky stuff. Icky! To top it off, it’s a long metro ride. I think I spent more money giving handouts to the poor than at that particular market! The Brocante at the Place de la Bastille was expensive, but what a site to behold! Gorgeous! I got great decorating ideas for my shop and a few trinkets. My fav Paris flea market was the Porte de Vanves where I got many good deals and the atmosphere was grand! Thanks again for the information and encouragement, it was truly appreciated. PS. 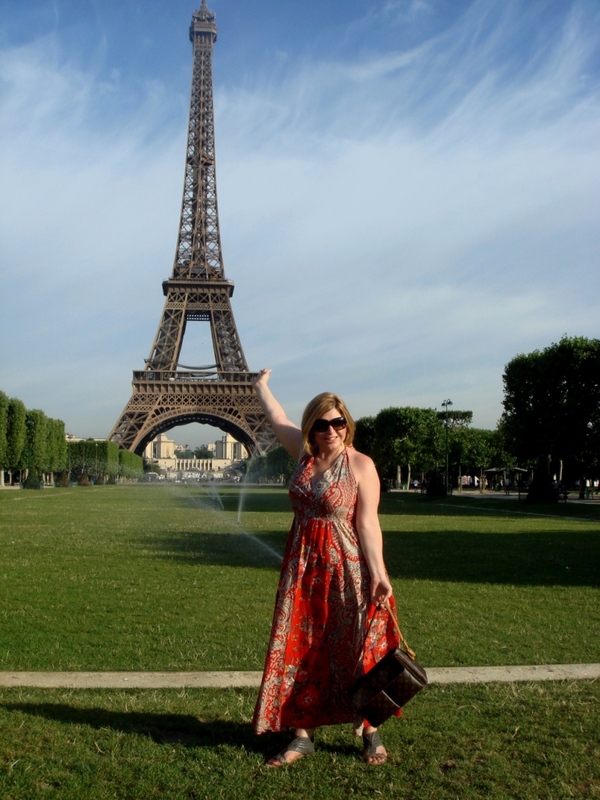 I’m happy to say I felt right at home in Paris! I was nervous before going that as a sensibly dressed American I wouldn’t fit it and that everyone would be wearing black! What an absolute delight to receive feedback on your Paris antiques shopping trip! It sounds like you had a ball and it was so wonderful to tour the Paris flea markets thru your eyes! I agree with you regarding both Montreuil and Porte de Vanves. Indeed, Bastille can be expensive, but isn’t it oh-so swoon worthy! In addition to your great feedback on the markets, I was delighted to see pictures of your shop in Rehoboth, Massachusetts – it looks like you scored some delicious inventory for your clients! Today on my blog I’d like to feature YOU – Jackie Lantry of Bliss Farm Antiques – as The Diva of The Day!!! 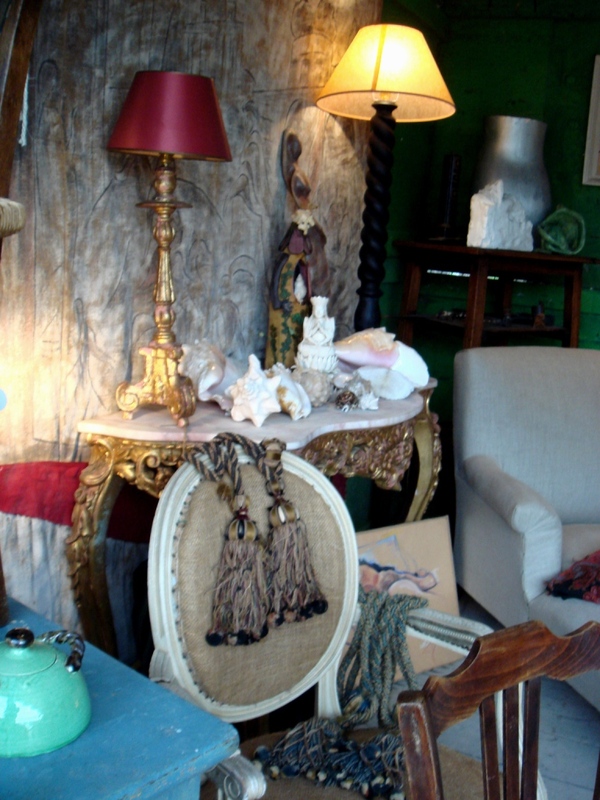 Bliss Farm Antiques has a beautiful inventory of antique, vintage and artisan finds. On a mission to sell only green and artisan made items, everything in their shop has been re-cycled, re-configured or up-cycle! In other words – nothing from Bliss Farm Antiques is factory made. Owner Jackie Lantry lives on “the farm,” a few acres of land in Southeastern Massachusetts, where she not only sells antiques and vintage treasures, but she grows peonies for wholesale! Last year she cut over 6,000 flowers in 10 days of harvest! While her shop also sells online at Etsy, if you visit the shop – it’s a sight to behold – you can walk a labyrinth built with “found” materials or sit in the garden and listen to the birds. Make sure to visit The Bliss Farm Antiques Blog! 130 ST. GEORGE ST., DUXBURY, MASS. Join The Antiques Diva™ for A French Flea Market Extravaganza! Here’s a Special Invitation to join The Antiques Diva™ in Paris for one of two upcoming divalicious tours this Fall 2009 in a French Flea Market Extravaganza! Not only will we shop the traditional Paris flea markets, oohing and ahhing over everything Louis and beyond, but we’ll also hit the Mother Load of Divadom at one of The Diva’s two favorite French flea markets: la Foire Nationale à la Brocante et aux Jambons on the île de Chatou or The Antiquities Brocante at the Place de la Bastille (depending on the dates of your tour)! When you think you’ve literally shopped until you’ll drop, The Diva will revive you with champagne or café au lait – you name your poison – we’ll leave the flea markets behind, stepping into Hemingsway’s Paris, hitting a bar named after him and parading through the Ritz as if it were built for us alone. On another day The Diva will take you, arm-in-arm, strolling the streets of Saint-Germain-des-Prés, showing you the hottest shops, the best boutiques, the obvious and the out-of-the-way in her private Paris, sharing memories and making new ones! We’ll even make a rendez-vous to meet up in person with some of the best Parisian bloggers and online personalities! Should food or wine be your thing, let Diva Tours know and for an extra cost we’ll schedule French cooking lessons or steal some time for a wine tasting or two! Picture it. You, The Antiques Diva™ and Paris. It looks good, doesn’t it? Option 1 takes place during the famous La Foire Nationale Nationale à la Brocante et aux Jambons, a fair going on annually in the Parisian suburb of Ile de Chatou since the Middle Ages! Tour includes trips around Paris to the Porte de Vanves flea market as well as the world-renowned Paris Flea Market at Clingnancourt. We’ll hit a few Paris tourist sites to check some Paris Must See’s and, as this is Paris, we’ll shop the clothing boutiques and vintage fashion of St-Germain-des-Prés! Dinner plans will be discussed before the tour. Dinner is at your own cost but Diva Tours will secure the reservations. Hotel and Airfare are not included in tour cost; however, we can make hotel recommendations and suggestions on which area of the city in which you should stay! 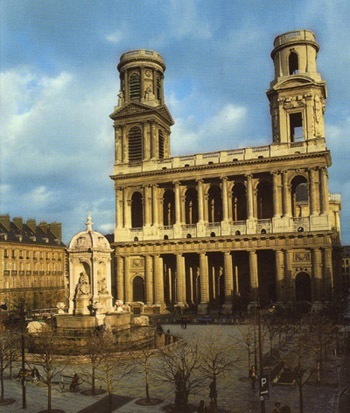 Includes everything mentioned in Option 1; however, replace La Foire Nationale Nationale à la Brocante et aux Jambons with the Antiquities Brocante at the Place de la Bastille, where we’ll storm the antiques and flea market finds in this square chocked full of tales from the French Revolution! Do I really need to say this… where else do you think, mes amies? We will meet in Paris, bien sur! (this said with a French accent and the wiggle of my fake moustache). To best optimize your time, please schedule your flights or train schedules to arrive a day before and depart a day after scheduled tour dates should your Parisian trip not extend beyond these Divalicious tour dates! Girls Trips always earn special discounts as do married couples! Email toma@antiquesdiva.com for further details, to book your trip or to learn about special discounts which might apply! * Price is set at 1,000 Euro. Price in USD will be set at booking based on current f/x rate but will never exceed $1,400 as Diva Tours will absorb any exchange rate risk above that threshold. mail toma@antiquesdiva.com to check availability on attending a one-day-only tour of La Foire Nationale Nationale à la Brocante et aux Jambons (between Sept 27 & Oct 4, 2009), Antiquities Brocante Place de la Bastille (between Nov 5-15, 2009) or either of the Paris Flea Markets – Porte de Vanves or Les Puce at Porte de Clingnancourt! The Antiques Diva™ Tours are taking pre-bookings for March and May 2010! Some of you may be thinking you’d love to come this fall but these dates simply don’t work in your agenda. Never fear! As they say, the early bird catches the worm. Both The National Fair of the Flea Market and Ham and The Antiques Flea Market at the Place de la Bastille in Paris occur not only in the Fall but also in March and May 2010! Email me at toma@antiquesdiva.com to discuss dates and opportunities for Spring 2010. Hope to see you on one of these exciting Paris Flea Market tours!